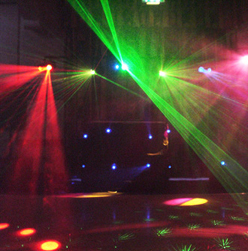 Your wedding reception will get lively when you choose from our extensive range of popular variety of mobile disco hire package, (click the highlighted text for more info), included with Wedding Music/DJs; fantastic lighting effects, mirrorball, smoke machine, flame effects strobes, etc all serviced by quality equipment. Playlists to suit whatever type of music you want for your wedding – even karaoake! Equally you might want to hire in your own professional DJ. We have a huge roster of Wedding Music and DJs to suit your purse, and your tastes. Please go to Entertainers website to see the outstanding professionals we represent! If you prefer a great disco to the sound of a live band you won’t be disappointed by our Wedding Music, DJs and Disco talent that perform all over the world. Here’s one of our most popular DJs James Taylor. Click for more info on James Taylor Please call 0845 872 6300 for more help and information on availability. German Theme.Um Pah - The Bavarian Strollers.